Whenever your site users encounter anything they find inappropriate, they can report it. 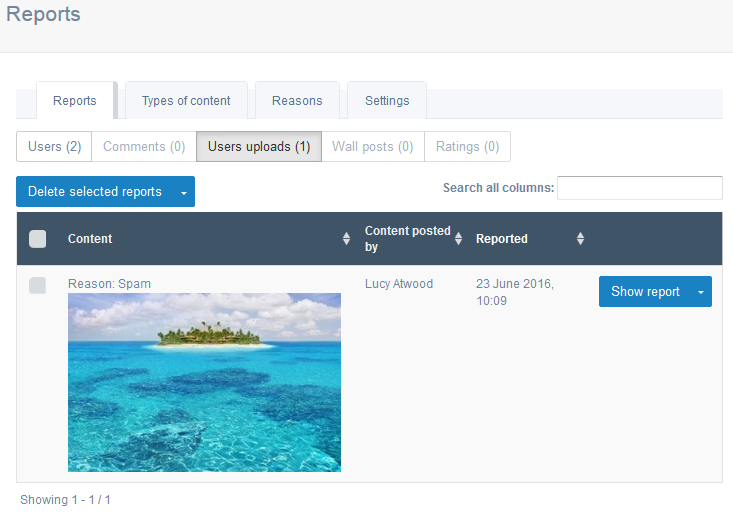 The list of objects subject to reporting includes: user profiles, comments, uploaded files, and posts on the walls. Access the admin panel and go to System > Reports (/admin/spam/index/) to manage this section. Click Edit type to modify the content report settings. 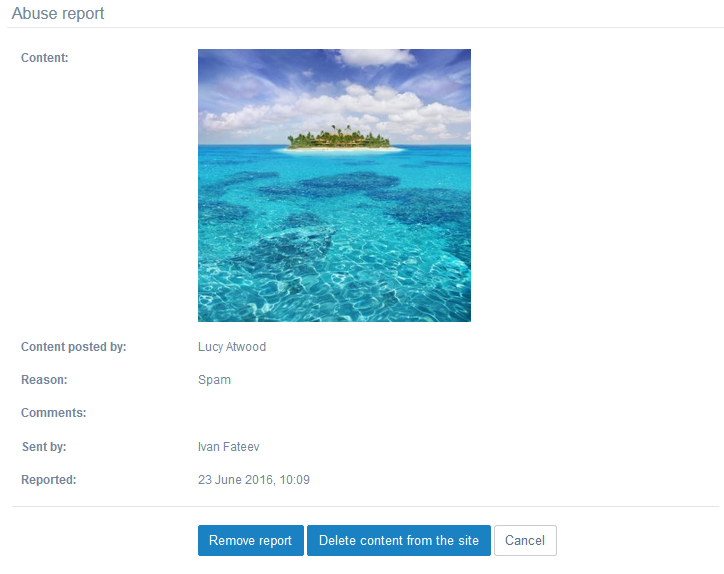 Button type means that the report will be sent immediately, without the option to add comments/explain the reason for reporting. Select+Message type brings up the report form, when the link is clicked. 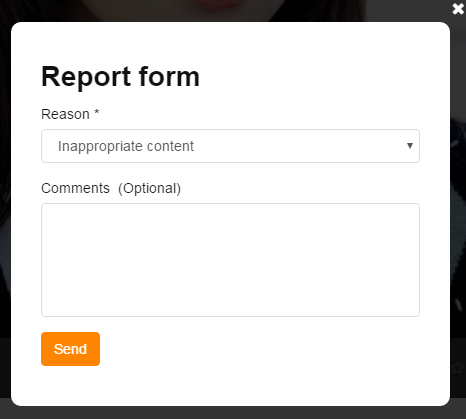 Here user can select the reason of reporting and post a comment. Reasons for reporting are only relevant if Select+Message report type is used. 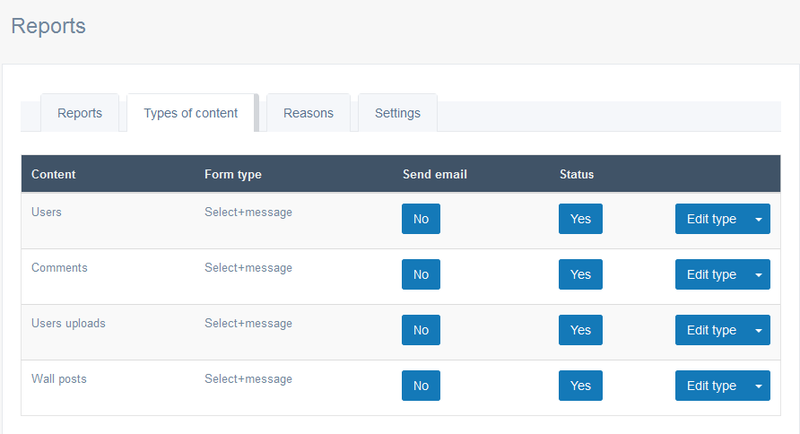 Enter the email where the reports will be sent if Send email option is enabled for content types. This section stores the reports from the site members. The reports are sorted by the content type, so it is easier to manage them. Click Show report to view the details of the report and decide what to do with it.